And then..... There was more. 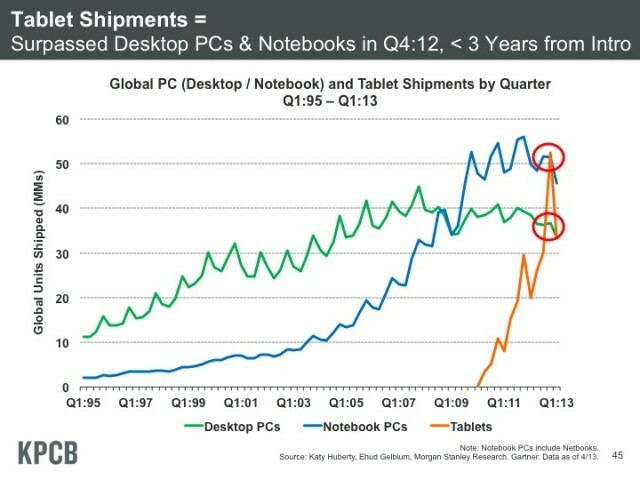 Check out the giant spike in tablet shipments (orange in the graph to the right) compared to PC shipments. 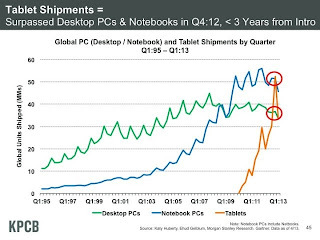 "In fact, tablet shipments surpassed both desktop PC and notebook shipments in the fourth quarter of 2012. A similar report from IDC earlier this week confirms the rapid tablet growth, estimating that yearly tablet shipments will surpass notebook shipments by 2013 and the total PC market in 2015."